A first-year rabbinical student at the Jewish Theological Seminary once approached me in order to critique my teaching methods. He wanted to know why I allowed the reactions of the students to predominate in class discussions. He preferred to hear my reactions to the text as the teacher/expert and not those of his amateur classmates. “We could be moving faster through the material,” he argued, “if only you lectured more.” It became clear to me that listening to his classmates engaged in a debate about a text’s meaning thwarted his ability to emerge with the interpretation at the end of a class session and made him struggle too much in his search for clarity. No doubt, our classroom dialogues left him frustrated. In response to his question I asked him to think about the nature of the texts that he was required to prepare each week from the Babylonian Talmud (Bavli). I then informed him that I would address his concerns within the classroom as I assumed he was not the only entering student uncomfortable with my pedagogical approach. When I opened up conversation in class the next day on the character of the Bavli, my students articulated their impression of it as a unique document unlike any literary work produced during its time or thereafter. Certainly, there was no document the students could remember studying that was similar to it. They recognized that its unusual character was born from the distinct style of dialogue utilized by its redactors to weave together an array of disparate sources from different time periods. These redactors created a text in which voices of different generations were presented as communicating with one another. The students also acknowledged that in the Bavli positions were challenged and undermined on a consistent basis; strings of attacks and counterattacks were the building blocks of each Talmudic passage and they lent a great deal of instability to the individual points of view proposed throughout its pages. Moreover, beyond the sheer dialogical nature of the Bavli they also noted how common it was to find within its argumentative framework ambiguous, tangential, and elliptical statements that disrupted the linear development they expected to see. Students then noted how surprising it was for a seminal religious text to exhibit such volatility instead of a well–defined religious vision. Indeed, their frustrations began with the text itself. My decision to inscribe Talmudic dialectic into my pedagogic practice has been driven by more than a desire for students to find a way to integrate what they have learned with their own identities as Jews within the framework of their seminary education. To be sure, my own successes in the classroom support the observations of a host of contemporary educational theorists, sociocognitive psychologists, philosophers, and semioticians who have argued that there is a strong relationship between the social aspect of education and the production of knowledge. For example, John Dewey (1971) underscored that what makes education intrinsically moral is its social dimension. For Dewey, the classroom was a community of inquiry; the social interactions that were natural to the school environment were necessary to the educational process. Parker Palmer (2007) has argued that our knowledge of the world requires an interactive community that gathers around a subject in a complex and dialogical manner. Sociocognitive psychologists, including Lev Vygotsky and Irving Sigel, have noted that while knowledge is developed individually, most of what we learn is achieved communally, within patterns of relationships. Knowledge is not merely transmitted from one individual to another, that is, from teacher to student. Rather, it emerges from a shared interpersonal engagement around jointly understood problems. Cognitive development depends upon interactive processes (Hausfather 1996: Kozulin 1998; Sigel 1993; Sigel and Kelly 1988; Wertsch 1985). The semioticians Yu. M. Lotman and Mikhail Bakhtin, who posit that every text possesses a “dialogic function,” treat all texts as contributions to a dialogue that continuously invites further response and, therefore, as “members” (so to speak) of the learning community (Lotman 1988; Katz 2006; Kress and Lehman 2003; Wertsch and Smolka 1993). In other words, the text and the individual are seen by them as existing in a relationship with the same cognitive development sequelae as those of relationships among people. No doubt, the observations of these scholars only heighten the significance of the contributions made by the redactors of the Talmud over fifteen hundred years ago to our sense of what qualifies as good teaching and what good teaching accomplishes. Once the attainment of knowledge becomes a social process, as the rabbis initially proposed, it never becomes something absolute or universal (Foster, et. al., 2006, 78). Rather, it evolves over time in a continuous and multidirectional fashion. It is also the case that a dialogical style of teaching invites diversity, creates conflict, promotes disorder, and embraces ambiguity within the classroom setting. A teacher can be contradicted, multiple interpretations can coexist, and there can, at times, be more confusion than clarity, just as my student felt during the first few weeks of our class. However, the reality is far different. Students eventually learn that the subject of our discussion is not confined by what the teacher has to say about it (Palmer 2007, 120). Within this context they develop the confidence to assert their own opinions. They learn to listen and to accept the ideas of others because they have watched their teacher reframe her own observations based on their input. The notion of an expert and an amateur sitting across from one another disintegrates. But more important is the fact that ambiguous texts and diverse interpretations, while disorienting, sharpen the interpretive sensibilities of the students. 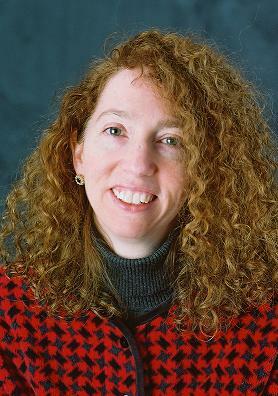 Elizabeth Shanks Alexander (2002) has argued in her comments on bSuk 51b–52a that the ambiguity characteristic of the literary art of the Bavli intentionally creates dramatic tension on the part of its readers heightening their curiosity and prompting them to engage the text more deeply. The same occurs in the classroom when one student’s question complicates rather than clarifies an observation made by another. Such discrepancies provoke more questions and more discussion. And whether some conclusion is actually reached or several acceptable answers are put forth by the students the twists and turns in the discussion reflect the difficulty we all face in trying to conceptualize vast ideas that are often at the root of theological study. Indeed, the Bavli’s text is uniquely structured in a way that reflects a commitment to the interpersonal construction of knowledge. Its pedagogy makes me the fortunate recipient of a teaching task where the nature of what I teach coheres with the culture in which I teach it at the Jewish Theological Seminary. But this type of Talmudic pedagogy has also forced me to look beyond the idea that teaching is about the construction of a neat cognitive scaffolding. Without sacrificing rigor in the name of “classroom conversation” I have come to realize that there is a redeeming value in the confusion that ensues when a group of students try to help one another make sense of an idea. The joint effort required transforms them into an active community of learners where I become part of the circle that they helped me to construct. They confirm the benefits of an ancient pedagogy that, because of its interactive nature, has the ability to take me and them by surprise at any moment with an array of existential applications and interpretive illuminations. Alexander, Elizabeth Shanks. “Art, Argument, and Ambiguity in the Talmud: Conflicting Conceptions of the Evil Impulse in bSuk 51b–52a.” Hebrew Union College Annual 73 (2002): 97–132. Dewey, John. Philosophy of Education. Totowa, NJ: Littlefield, Adams, 1971. Foster, Charles, Lisa Dahill, Lawrence Golemon, and Barbara Wang Tolentino. Educating Clergy: Teaching Practices and Pastoral Imagination. San Francisco: Jossey-Bass, 2006. Hausfather, Samuel J. “Vygotsky and Schooling: Creating a Social Context for Learning.” Action in Teacher Education 18 (1996): 1–10. Katz, Claire Elise. “‘The Presence of Other Is a Presence that Teaches’: Levinas Pragmatism, and Pedagogy.” Journal of Jewish Thought and Philosophy 14 (2006): 95. Kozulin, Alex. Psychological Tools: A Sociocultural Approach to Education. Cambridge: Harvard University Press, 1998. Kress, Jeffrey, and Marjorie Lehman. “The Babylonian Talmud in Cognitive Perspective: Reflections on the Nature of the Bavli and Its Pedagogical Implications.” Journal of Jewish Education 69, vol. II (2003): 58–79. Lotman, Yu M. “Text within a Text.” Soviet Psychology 26 (1988b): 32–51. Palmer, Parker J. The Courage to Teach. San Francisco: John Wiley and Sons, 2007. Sigel, Irving E. “The Centrality of a Distancing Model for the Development of Representational Competence.” In The Development and Meaning of Psychological Distance, edited by Rodney R. Cocking and K. Ann Renninger. Hillsdale, NJ: Erlbaum, 1993. Sigel, Irving E., and Todd D. Kelly. “A Cognitive Developmental Approach to Questioning.” In Questioning and Discussion: A Multidisciplinary Study, edited by J. T. Dillon. Norwood, NJ: Ablex, 1988. Steiner, George. “Our Homeland, the Text.” Salmagundi 66 (1985): 7. Wertsch, James A., Vygotsky and the Social Formation of the Mind. Cambridge: Harvard University Press, 1985. Wertsch, James A., and Ana Luiza B. Smolka. “Continuing the Dialogue: Vygotsky, Bakhtin, and Lotman.” In Charting the Agenda: Educational Activity after Vygotsky, edited by Harry Daniels. London: Routledge, 1993.